W. F. Burns Middle School has a rich history in our community. The first Building of this legacy was built in 1905. It served young African-American students in the Fairfax community from first grade through ninth grade. In 1934, Mr. H.C. Talley became principal and served until 1942. At this time, Mr. William F. Burns became principal. The school burned in 1947. After this, the first phase of the present building was built. The school was ready for occupancy in March of 1949. The school was known then as Rehobeth High School. The second phase of the building was completed in 1958, which included a home economics room, library, science lab, classrooms, kitchen and multi-purpose room used for a gym, a lunchroom, , and an auditorium. The first high school graduation was in May 1959. The third phase of the building was built when Drew Junior High School in Shawmut was destroyed by a storm. Rehobeth began serving the 7th, 8th, and 9th grades when these students were transported to our school. In 1970 our school system became integrated. With this came the fourth phase of construction. This addition included the band building, the lunchroom, classrooms, restrooms, storage rooms, and a science lab. In addition to this, Rehobeth High School was renamed Valley Junior High School. Mr. Burns remained principal of Valley Junior High School until 1973. This school served black and white students in the 7th, 8th, and 9th grades until 1980. At this time, the 9th grade moved to Valley High School. In 1995 Valley Junior High School went through one more change. The Chambers County Board of Education voted to change the name of the school to W. F. Burns Junior High School in honor of William F. Burns. In 1999, the school’s name changed again to W. F. Burns Middle School due to the addition of the 6th grade. In the year 2000, Priscella Pearson Holley became the first woman to hold the title of principal at the school. W. F. Burns was accredited by the Southern Association of Colleges and Schools in December of 2003. •	Cheerleading and Mascot signups will begin Thursday, Jan 17th. The last day to sign up for tryouts will be Friday, Jan 25. If you are interested in trying out for cheerleader or mascot, please sign up in Mrs. Bunn's room between classes. •	Congratulations to our January Students of the Month! •	The yearbook staff needs your after school activity pictures. Upload them to replayit.com or email them to Mrs. Philpott. •	The CIA Club (Christians in Action) needs your help. We have adopted an elderly person from the nursing home here in our area without family. They receive excellent care but have no one to provide them with basic needs such as hygiene items and clothing. We want to show our love to them by providing them these much needed items for Christmas. You can help make this possible by providing your dollars and change in homeroom. The money collected will be used to purchase the items they so desperately need. Please show your concern and love by your sacrificial giving. The last day to donate will be Friday, December 7, 2018. Life is Your Journey…Travel Drug Free! Adopt-A-Cop: November 2 – Please bring items for your officer! Prizes will be given and pictures will be taken. Encourage one another to stay drug free, and let’s have fun! •	The CIA Club (Christians in Action) and Rambassadors will be having a can food drive to benefit the community. All food collected will be donated to the Christian Service Center. We will collect for the month of October. Students are to bring can goods and other nonperishable food items to their homeroom teacher. The homeroom that collects the most items will win a pizza party. •	Pennies for Vets is off to a good start with Mrs. Wagner’s class still in the lead, but Mrs. Autry’s class is closing in! Let’s all continue to give so that some deserving Valley Veterans can be presented with American flags to proudly fly in their yards! The winning homeroom will get a pizza party and Mrs. Krug will bake you cupcakes! •	Makeup Pictures will be Monday, October 8th. Students must have a note from home to get out of class to take a makeup picture. •	Book Fair will be here until Thursday Oct. 11th. Open from 1st period until 6th period. Must spend one dollar to come after browsing. One visit per day. Drawing will be held for those spending $5.00 or more to choose from free books Scholastic donated. •	Thursday, October 4th will be Bring your Bible to School Day. If you’d like to participate, please bring your Bible to school on Thursday. •	Students, bring your pennies to school! The month of October, homerooms will collect pennies for our Pennies for Vets fundraiser. The money collected will help put American Flags and flagpoles in the yards of our Veterans here in Valley. There may even be a special prize for the homeroom that collects the most money! •	This Thursday, October 4 we play Auburn for the first time ever in our division. Please wear tie dye as we "Tie up the Tigers". -The cheerleaders and mascot are "tongue tying the tigers". Cheerleaders/mascots will have a pair of lips with their name on it at the beginning of school. -They are not allowed to have any verbal communication with any student or teacher that is NON-ACADEMIC. -Cheerleaders/mascots may participate in group work, class work, or class discussion as long as it pertains to the academic course. Casual conversations are not allowed. -If someone gets the cheerleaders/mascots to speak, they get the lips from them. WHOEVER GETS THE LIPS MUST NOW REMAIN SILENT. -The same rules apply to whoever is wearing the pair of lips. -They can nod yes or no, smile, and laugh. No verbal words or sounds are to be spoken. -At the end of the day, whoever is left wearing the cheerleader's/mascot's lips gets to pie that cheerleader/mascot at the pep rally. -If a cheerleaders makes it the whole day to the pep rally, they are allowed to pie a teacher. •	School Picture orders are due Friday, September 21. Please turn your completed order form in to your homeroom teacher. Homeroom teachers, please send these to the office. •	Makeup Pictures will be Monday, October 12th. Students must have a note from home to get out of class to take a makeup picture. •	All yearbook orders must be placed online or mailed. Mrs. Philpott will not take them at school, that deadline has passed. •	Hat day! For the low, low price of $1.00 you can wear your favorite hat on Thursday September 20th. Homeroom teachers will send names of the craziest hats or hat wearers to be entered into a drawing for a prize. •	And on Friday September 21 wear your favorite pajamas for only $2.00. The homeroom with the greatest participation will win a popsicle party. When you see these students, please congratulate them on a job well done! •	Makeup Pictures will be Friday, October 12th. Students must have a note from home to get out of class to take a makeup picture. •	Muffins for Moms is being rescheduled due a scheduling conflict with required state testing. We will reschedule for a date in November with more information to be sent home later. •	Homeroom Favorites you will have your picture taken for the yearbook on Friday, September 7th. •	Family and twins you will have your picture taken on Friday, September 7th. •	Makeup Pictures will be Tuesday, September 10th. Students must have a note from home to get out of class to take a makeup picture. •	8th Graders: Mrs. Philpott needs your baby picture by Friday, September 7th. • Softball workouts will begin Wednesday, September 5th at the community center from 3:40-4:40. •	Twins: We will take your pictures on Tuesday, September 10th for the yearbook and newspaper. •	Homeroom favorites: We will take your pictures on Tuesday, September 10th for the yearbook. 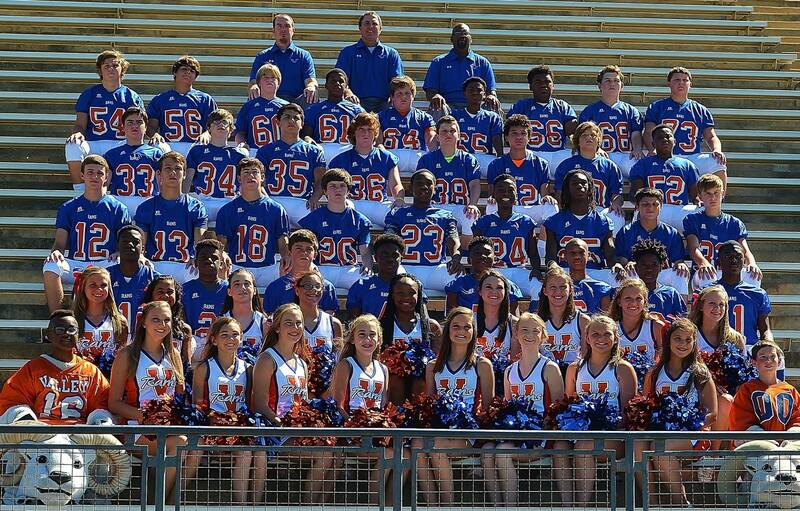 •	We hope to see you all at Ram Stadium today at 5:00 to support our 7th and 8th grade football teams as they Lei out the Central Lions! Come out and show your school spirit and support our football teams and cheerleaders! •	Students: You are invited to try out for the Middle School Boys Basketball team. Tryouts will be held at the Valley High School gym on Saturday, September 1 at 9 AM. All participants must have their own transportation to and from tryouts. Each student that is interested in trying out must have a physical form on file with Coach Grimes before they are allowed to participate in the tryouts. Please join us for our Parent Advisory Meeting (PAC) Meeting on Wednesday evening at 5:30 in the cafeteria. The football team is hosting a Back to School Bash this Saturday at Shawmut Airport from 8am - 2pm. There will be all wet inflatables! So bring a towel and come join the fun! We will also have our Cow Patty Rodeo, Car Show, Golf Contest, Lots of vendors and good food, and Free give aways. So bring your whole family and join us this Saturday at Shawmut Airport from 8am- to 2 pm..
Parent Survey - Your input is very important! Our Continuous Improvement Plan is a tool by which the school makes critical decisions on how best to improve and deliver an effective learning environment to the students we serve. Feedback from the parents and community is a critical part of this annual process. We value your input and appreciate your responses. The survey takes less than 5 minutes to complete and the information will be used to help improve our school. All of the information is confidential and your participation in voluntary. We can't emphasize enough how important it is that we hear from YOU! We have more than 650 families at our school and are hoping to get at least 300 completed surveys by Friday, September 7th, so we can get a genuine snapshot of what parents are experiencing. Thank you for your partnership in this important effort! *Please return Donuts for Dads forms to your homeroom teacher by Monday. We're looking forward to seeing all of our Dads next week! We'll also be hosting Muffins with Moms and Grits with Grands soon! Information on those events will be sent home soon! * T-Shirt Order forms are due Friday, August 17th. Homeroom teachers send them to Mrs. Philpott on Friday. * School Picture Day is Friday, August 17th. These pictures are for the yearbook. All students and staff will take pictures this day. * Yearbook orders are to be given to Mrs. Philpott in the sealed envelope. We're super excited to see all of our students and parents! We hope you'll make plans to join us for Donuts with Dads on August 23, Muffins with Moms on September 7, and Grits with Grands on October 11! More information coming soon! Report Cards can be picked up from the front office anytime this summer beginning Tuesday, May 29. 2017-2018 has been an outstanding school year! Have a great summer! WE, THE ADMINISTRATION AND FACULTY OF W. F. BURNS SCHOOL, UNDERSTANDING THE EDUCATIONAL NEEDS OF THE ADOLESCENT LEARNER, ARE DEDICATED TO EDUCATING THE TOTAL CHILD IN HIS/HER INTELLECTUAL, PHYSICAL, MORAL, AND SOCIAL GROWTH. OUR GOAL IS TO INSTILL IN EACH STUDENT A LOVE OF LEARNING AND THE DESIRE TO PERFORM TO HIS/HER HIGHEST POTENTIAL WHICH WILL LEAD TO A SUCCESSFUL LIFE. Beginning with the 2016-17 school year, Chambers County began offering advanced classes in English Language Arts and Advanced Math to the students in 6th and 7th grades who have been identified as Gifted. These classes will be our gifted services at these two grade levels. There will be no more Gifted pull outs in grades 6 and 7. As the parent of a middle school student who is identified as being Gifted and is eligible for Gifted services, you will have the opportunity to request that your child be placed in advanced classes. Students who haven't been identified as Gifted or any W.B. Burns student may select advanced classes if the student shows proficient according to state testing in the areas of reading, math, and language arts as well as making sufficient progress in all classes. W.F. 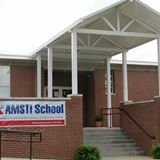 Burns Middle School named an AMSTI School. AMSTI (Alabama Math, Science, and Technology Initiative) is an Alabama Department of Education initiative to improve math and science education across the state. It provides students with well-trained teachers and the equipment, materials, and resources needed for hands-on, activity-based, math and science education. AMSTI helps students develop the knowledge and skills needed to succeed in postsecondary studies and the workforce. All science and math teachers will attend a summer workshop to be trained in the AMSTI teaching methods. At W.F. Burns, every student has the opportunity to achieve exemption. The criteria for exemption are listed below. 1. Student must earn a semester average of “A” or “B” in at least one class not including P.E and earn a passing grade of 70 in all classes. 3. Student must not have been suspended from school or placed in ISS during the semester (first and/or second quarter). 1. Student must earn a semester average of “C” and earn a passing grade of 70 or higher in all classes. 3. Student must not have been suspended from school or placed in ISS during the semester (third and/or fourth quarter). Search our library from home. Information resources available to each student in the state of Alabama. Get help with homework after school online. For more information about the library media center.